Before I Go To Sleep by S.J. Watson, an original and suspenseful psychological thriller, read for one of my book groups. Dicey's Song by Cynthia Voight, a warm and tender middle-grade/teen novel. Faith by Jennifer Haigh, a thought-provoking novel by one of my favorite authors, read for my other book group. Leisl and Po by Lauren Oliver, a fun and adventurous middle-grade audio book about a girl who befriends a ghost. Dead To You by Lisa McMann, a compelling teen/YA novel about a boy who was abducted years ago and returned to his family. The Night Circus by Erin Morgenstern, a magical, thoroughly unique novel. The Pregnancy Project by Gaby Rodriguez, a fascinating teen/YA memoir. Wow, I read 7 books last month - that's actually more than I usually fit in! I read three grown-up novels, two middle-grade novels (one read and one audio), and two teen/YA books, one a novel and the other a memoir - that's a pretty good mix for a single month! All of these books were good. In fact, they were all excellent; I don't think I can pick a favorite this month. OK, if you twist my arm, Dead To You was probably my favorite among favorites, with Before I Go To Sleep a close second. For my 2012 Challenges, I added only 1 new state, Maryland, to my Where Are You Reading 2012 list. The rest were all repeats (still reading lots of books set in England!). 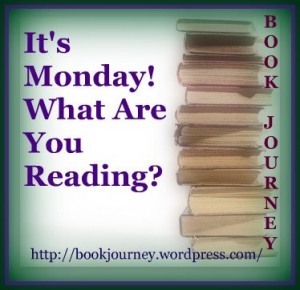 I read nothing at all from my TBR shelves this month - all library books and new review books. And no dystopian novels (though June will take care of that!). I squeezed in one memoir just before the end of the month, though. 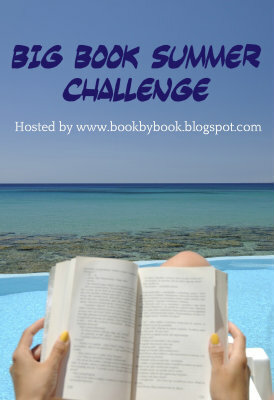 And I started my own first-ever challenge, Big Book Summer Challenge, so check it out and sign up! What were your favorite books read in May? 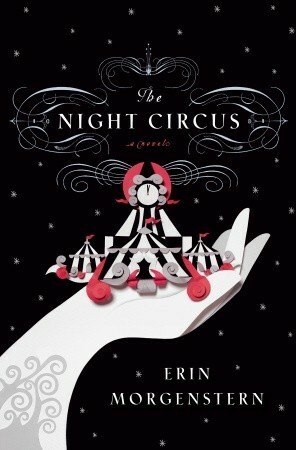 When The Night Circus by Erin Morgenstern was first published, I heard one gushing, complimentary review after another, but it sounded like a strange book to me, a story about a unique circus that is only open at night. I wasn’t all that interested in the topic (I should have learned my lesson with Water for Elephants), but the rave reviews won out. I bought the novel for my mother for Christmas and then borrowed it after she finished it (and also raved about it!). Well, it is an excellent, engaging novel…and, yes, it is also strange, but in a good way. I hardly know where to start because this is one of those novels where describing the plot doesn’t begin to explain why the book is so special. At its heart, it is about a competition between two very old…uh…magicians? I suppose that is the right word. Each of them has chosen and trained a young apprentice to carry out this competition on their behalf. Celia and Marco both know that they are part of an unusual contest, but they know very little else – not the scope of their competition nor its stakes nor even, at first, who their competitor is. The setting for this mysterious competition is Le Cirque de Rêves (literally, the Circus of Dreams). This unique circus is open only at night and features acts and attractions unlike any that have ever been seen before. Even many of the circus’ performers are unaware that it is really the stage for Celia and Marco’s competition. It moves without warning from one location to another, all over the world, attracting legions of ardent followers. Some of the most fascinating passages in the novel are those that describe the circus in all its one-of-a-kind black and white glory. You will wish you could walk through the tents of the circus yourself and experience its stunning acts first-hand. Morgenstern’s descriptions pull you in, making the circus and its inhabitants feel real. You will smell the caramel and see the white flames of the bonfire in your mind. But this novel has much more depth than just a collection of sensory images. At its heart, it is a love story, and I came to care for its main characters, especially Celia and Marco, Bailey, and the red-headed twins born on the circus’ opening night, Widget and Poppet. My only complaint (and it is a minor one) was that the chronology of the novel is sometimes confusing, as each chapter bounces back and forth through time. As long as you read the chapter headings closely and take note of when they take place, it’s not too distracting, though it might be hard to keep track of on audio. Eventually, all the disparate threads of the story come together. It is a magical journey you won’t want to miss. Wow, last week was just a nonstop whirlwind of activity, but I survived! Our oldest son, Jamie, graduated with honors from high school this weekend. We are so proud of him! So, amid all the preparations, house guests, graduation activities, and party, none of us had much time for reading, and I had no time at all for writing blog posts or book reviews. I don't expect it to get much better this week: we have more house guests, our son's 8th grade graduation, and lots of vacation preparation. I read The Pregnancy Project: A Memoir by Gaby Rodriguez, a very unique teen/YA memoir written by a young woman who pretended to be pregnant during her senior year in high school in order to observe how friends, peers, family, and teachers treated her and explore stereotypes of pregnant teens. It was a fascinating memoir. I'd like to see the Lifetime movie made from her book. Next, I decided to get started on My Big Book Summer Challenge with an easy one, Blood Red Road by Moira Young, a dystopian teen/YA novel. It is written in a very unusual style with sparse prose and no quotation marks, but the story is so engaging that is has grown on me. It's getting hard to put down now! My husband, Ken, is still reading A Game of Thorns by George R.R. Martin, but he says he only has 150 pages to go now! He's really enjoying it. He was already perusing the TBR shelves last night, trying to decide what to read next while we're on vacation. Jamie, 17, had a very busy week, filled with all sorts of senior activities at school, plus trying to finish his work (he was sick a lot this year so has some work to finish over the summer), but when he needed a break, he read Spiral by Roderick Gordon and Brian Williams, Book 5 in the Tunnels series. Talk about Big Books - these are all huge! Jamie loves this series and says it just keeps getting better. Craig, 14, finished Brian's Winter by Gary Paulsen, part of his series that begins with Hatchet, a favorite in our family. We'd listened to the audio many years ago, but Craig enjoyed reading the book. He is now finished with his reading requirements for middle school! Thank goodness he has some required summer reading for his new high school or he'd probably not read at all during the summer! Remember to sign up for the Big Book Summer Challenge - in keeping with the easy-going nature of summer, there are few requirements - just read one book over 400 pages (or as many big books as you like!). Check out my own stack of big books I hope to read this summer and sign up yourself!